Following your intuition doesn’t mean that your life will be free of challenges. Intuition is a way to receive guidance from the wisest part of yourself. Some people refer to this wise part as their “higher self” and others attribute the information to their “spirit guides.” Really, it doesn’t matter what you call it as long as you realize that this source of knowledge exists and is available to you. 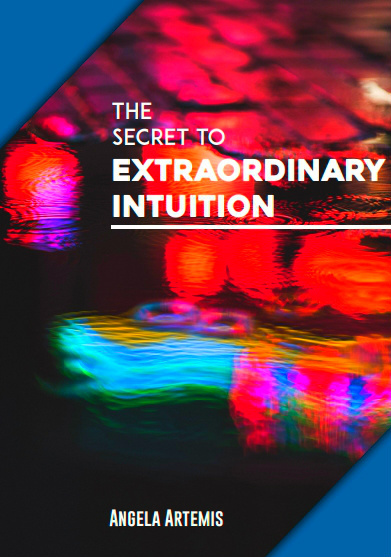 Tapping into your intuition will help you make better decisions in your life and that will alleviate many problems from occurring in the first place. When you make the right decisions in the first place you experience more joy and success overall. It’s the wrong decisions we make in life that cause our problems. Following your intuition will also lead you back to the path of peace and sanity when you find yourself facing challenging circumstances. But nothing, not even following your intuition, can ever prevent all problems and challenges from ever arising in your life. If you look behind the curtain of any celebrity who appears to have it all you’ll find that they too face difficulties and challenges in their lives. The fact of the matter is that life is about growth. And growth takes place when you are challenged. People who live a “charmed life” are usually pretty shallow. They haven’t developed the depth that comes with dealing with challenges. When you learn how to deal with your problems that is when you grow the most in character and competence. The experiences you master as you go through life teach you what to do to get the results you want and what not to do as well. You learn by your mistakes and hopefully do not repeat them over and over for the rest of your life. If you’re one of those people who has made the same mistake again and again – take heart. You are not alone. It happens to most people. It usually takes a few times of making the same mistake for many of us to learn. If you’ve identified a pattern of mistake that you’ve made over and over, the good news is that now that you know the pattern you can change it. The reason you repeated the mistake over and over is only because you weren’t yet ready to change. You may have been held back by fears and your own limiting beliefs. When you are ready to transform your life nothing will stop you. A. You are not perfect. From time to time you will make mistakes and wrong decisions that will create problems in your life. B. You are not the only player on the stage in your life. Sometimes wires get crossed. Misunderstanding happen that lead to problems in relationships. C. As you’ve grown you’ve become more enlightened but, you weren’t always that way. You may have done or said things in your past that are still coming home to roost. You have to deal with the consequences of your previous actions. D. You allow your fears to take the reigns of your life. This creates huge challenges too. I know because I did it for years. Fears are the result of limiting or wrong beliefs. Who hasn’t got those? E. You blatantly ignore your intuition and favor your ego. You don’t trust yourself enough to know what feels right or good for you. You operate under the assumption that others know better or what society dictates is better. F. You continually resist change and/or facing your problems. You fear you aren’t competent to deal with the challenges you face. Whatever we resist persists. Until you surrender to what is and deal with the challenge head on and learn the lesson from it that you’re supposed to learn – it will continually present itself over and over again in your life. 1. Learn how to go within and hear your own intuitive wisdom. Meditation is the best way to cultivate your intuition. Make it a part of every day. 2. Develop the habit of not making big decisions until you check in with your gut. How many times have you said “yes” to something too quickly only to have second thoughts about it later? Take some time check in with your gut. 3. Take your feelings seriously. If something feels “funny” or not right to you – there is a reason. Get out of the habit of discounting your feelings. This is how your intuition communicates vital information to you. Feelings are the “short-hand” of intuition. 4. Respect your dreams. Dreams are one of the easiest ways to receive intuitive guidance. Create the intention to recall your dreams. Ask for specific guidance from a dream every night before going to sleep and you will get it. 5. When times get tough – journal. You would be surprised at how much wisdom resides within you. Get a notebook and write a short description of the problem you’re dealing with. After that relax and close your eyes. Allow yourself to write whatever comes to mind. Don’t look at it (you can keep your eyes closed or just look away) and don’t edit it. Keep writing until you feel in your gut that you’re finished. Put it away for a day or two. When you read it you will be amazed at your own words of wisdom. 6. Apply your intuition. Once you receive intuitive guidance act upon it. This is where I made a lot of mistakes in my life. I got the “answers” but, was afraid to take action. You’ve got to use it – or the moment is gone. The opportunity dries up. If you receive an answer intuitively that is only the beginning. The next step is to put it into practice by taking action otherwise it of no use to you in your life. Once you put your intuition into practice the next step is to keep the faith – to keep going until you “arrive” at your destination. Be prepared this will take effort and may take a while but, most good things do. Remember, following your intuition will never prevent all problems from entering your life but, it is one of the greatest tools to have in your tool box. With it you can find a solution to most any problem – provided you are willing to do what it takes to apply the solution. Can you see how using your intuition can help you to solve the problems in your life? Has your intuition ever guided you back from calamity? If you enjoyed this post please share it with a friend on FB, Twitter & Google+. Thank you. P.S. 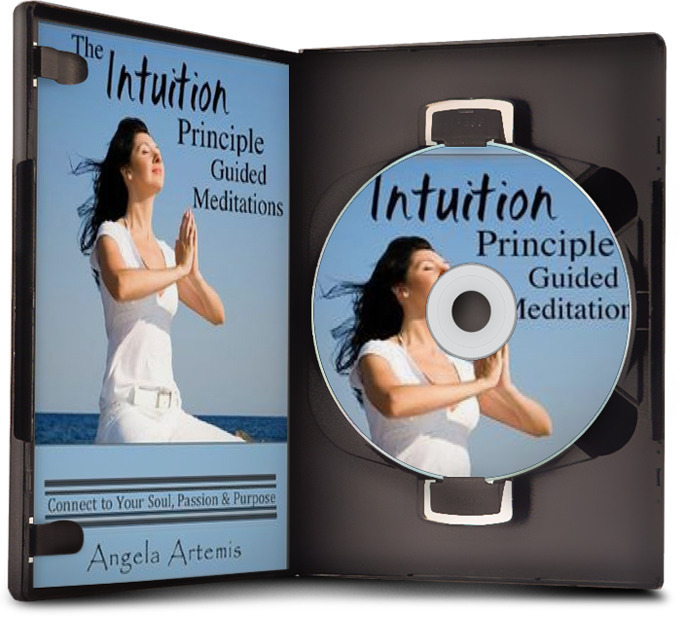 Learn how to get advice for your life from your intuition – click here. Is Your Intuition Nudging You to Pursue Happiness vs.Money? I can think of so many times when I ignored my intuition and the impact of that on my life. I am learning to slow down and listen, but it’s not always easy. It’s definitely a practice and I’m so grateful for these reminders Angela. I have learned through my greatest mistakes that I need to listen to my intuition too. It’s funny how we learn from more from “pain” than from pleasure. LOL. I agree it’s not always easy to slow down and listen – especially for an Aries! You want to go full steam ahead. It’s my pleasure to be able to remind you. If I help only one person see the light and avoid a big mistake I will feel that I accomplished my goal. What a synchronistic article to come across tonight! I was just talking with my 10 year old son to, “Listen to your gut!” I explained to him that when something feels weird, or wrong, or off, to listen to that above all else. There is a boy in my son’s 4th grade class who is a ball of anger. He gets in trouble a lot and throws off a lot of harsh energy. The phys. ed. teacher asked my son to play with this boy at recess (probably thinking my son would be a good influence on him). But, my son’s intuition has steered him away from this boy for years. (My son is very intuitive,empathetic). I told my son that even though a teacher asked him to play with this boy, I do not want him to do so- and I’m going to have a chat with this teacher. I will not let my son be coerced into going against his intuition (as I was throughout my childhood). I think you are right. Allowing your son to do it because someone in “authority” asked him to would set up an inner conflict within your son. This could cause him to ignore his intuition and choose what others dictate for the rest of his life. And, what problems that would cause! Thank you so much for sharing the marvelous example with us here. This is a very helpful comment. I think you are right. Allowing your son to do it because someone in “authority” asked him to would create an inner conflict within your son. 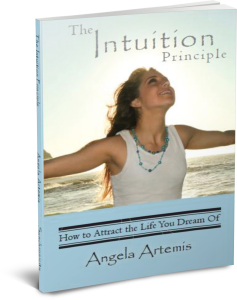 Darn, I keep hoping for that perfect life based on my awesome power of intuition. In the meantime, yes, my intuition has helped me avoid challenges and helped me navigate the unavoidable ones more successfully. You’re funny! LOL. Don’t we all wish for life to be easy and perfect? 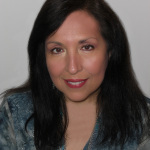 I’m so glad to hear you say your intuition has helped you during challenging times and to avoid problems. Those are the benefits of being tuned into your intuition! So happy you wrote this Angela. We’re all a work in progress and some of us, like you, are very tuned in to their intuition and some of us need to take the time to pause and really listen. But whoever we are if we just persist in developing our levels of connectedness, whatever that might be for each of us, like gets a little easier and flows a little better. Great guidance, Angela. I think that we all look for the magic pill. And when we do follow our intuition and we see great results we think the journey is over. But it is not. And we are disappointed when challenges arise and so we stop good practices like meditaiton and checking on our gut. So the answer is to never give up; continue the practice and challenges will be overcome and we will realise our dreams. That’s the lesson I’m taking away. Thanks. Thank you so much – you summed up the entire post in just a few sentences! You’re so right our journey is never over. We have to keep going. We have to keep going back to the well for intuitive guidance and maintaining our connection by continuing to meditate daily. I think your take away from this is right on!